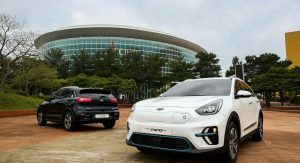 Kia has introduced the all-new Niro EV at the International Electric Vehicle Expo in South Korea. 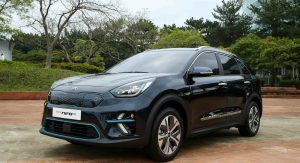 Previewed by the Niro EV concept, the production model more closely follows the standard Niro and Niro plug-in hybrid. Despite the styling similarities, the Niro EV has a unique front bumper with sportier air intakes featuring “arrowhead” shaped day running lights. Another key change is the addition of a flush-mounted grille that has a subtle geometric pattern on it. The grille also houses the car’s electrical charging port. 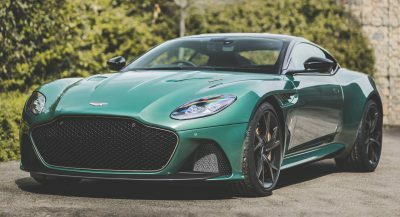 Rounding out of the styling changes is a new lower air intake and additional plastic body cladding which forms a front splitter. 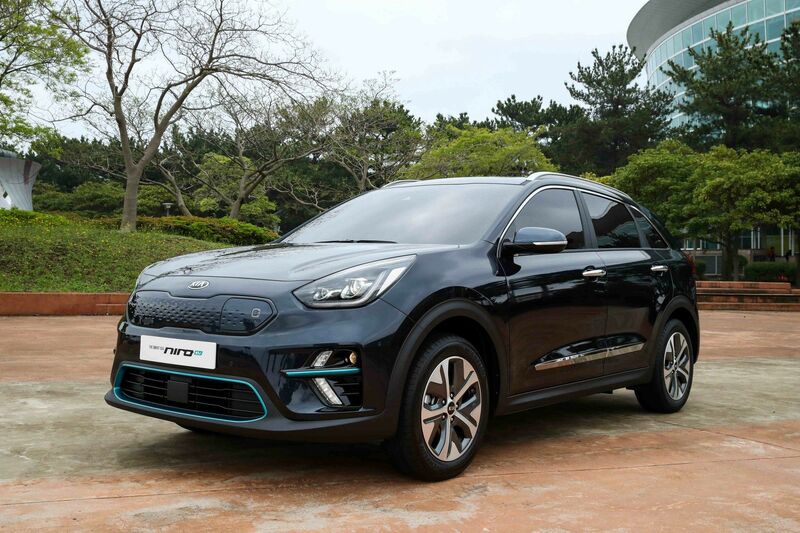 The Niro EV has also greenish accents and 17-inch wheels with large surfaces which likely reduce drag. The rear of the car largely carries over but there’s a modestly revised bumper with air vents. 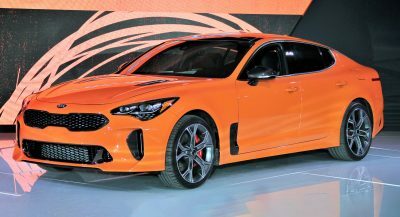 Kia was coy on performance specifications but confirmed the model will be offered with two different batteries including a 64 kWh unit which will enable the model to travel 380 km (236 miles) on a single. The company will also offer a 39.2 kWh battery pack which will provide a range in excess of 240 km (149 miles). 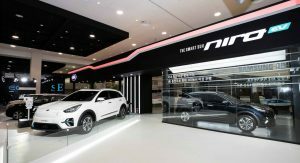 Little else is known about the car but Kia said the Niro EV will be offered with an assortment of driver assistance systems. These include frontal collision avoidance assistance, lane departure assistance, smart cruise control and a rear collision warning system. 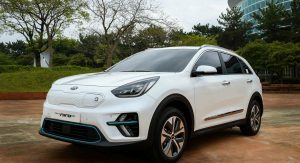 Kia has high hopes for the Niro EV as the company received more than 5,000 pre-orders in three days this past February. 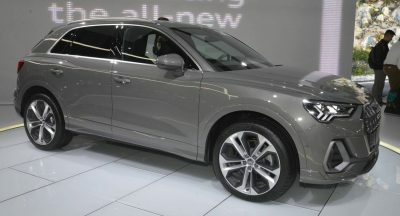 The company also noted the Niro PHEV has been popular as the company sold 23,647 units last year. More attractive than the Kona EV. Looking forward to pricing. Very interesting. And finally someone put the flush grille to use! Looks good in black. I agree. 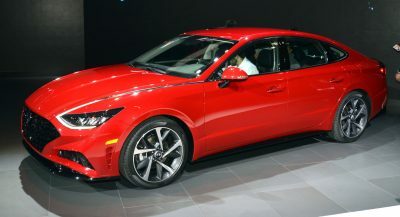 This will also be had with all wheel drive from what I heard as an option. THEY NEED TO TONE DOWN THE BUMPER A BIT. I knew it was next to impossible but its concept looks nice. COMING FROM A MEMBER WHO SITS AT HIS COMPUTER AND MAKES UP AN NEW SCREEN NAME FOR EACH AND EVER ARTICLE. I WISH IS HAD THAT MUCH TIME. Range isn’t so important, quick charging is ! But does it need to look so ugly? Still, kudos to Kia on developing more EV’s. Previous PostPrevious Used Jaguar XE Models Are Finally Affordable, But Should You Buy One?